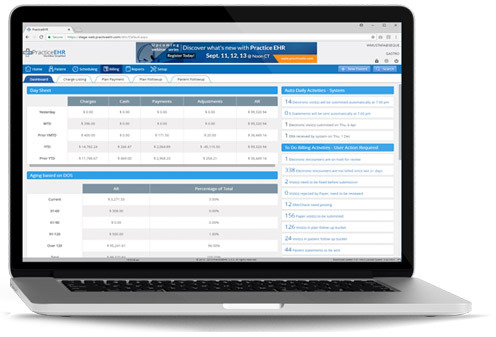 Practice EHR is everything you need in a medical billing software, and more. We offer a comprehensive, cloud-based solution, with a simple workflow designed to support you and the practices you serve. Our solution is built to complement your medical billing process and designed with the flexibility to meet your unique needs. A solution designed for medical billers and the practices they serve. Looking for a better EHR for your client? Request a demo with an EHR specialist today!